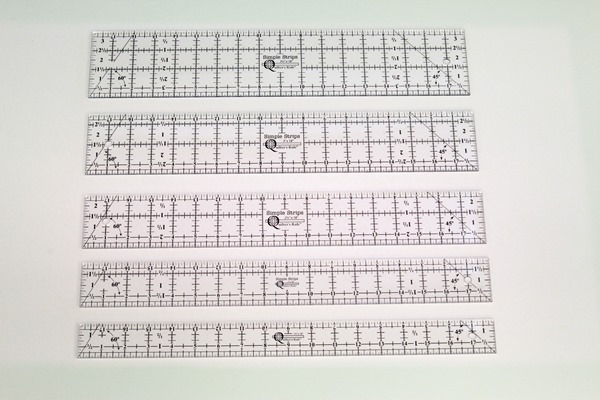 SIMPLE SM - Clear Acrylic ruler set with Black lines. 5 rulers in the set. The five smallest Simple Strips. All rulers are 15" long.